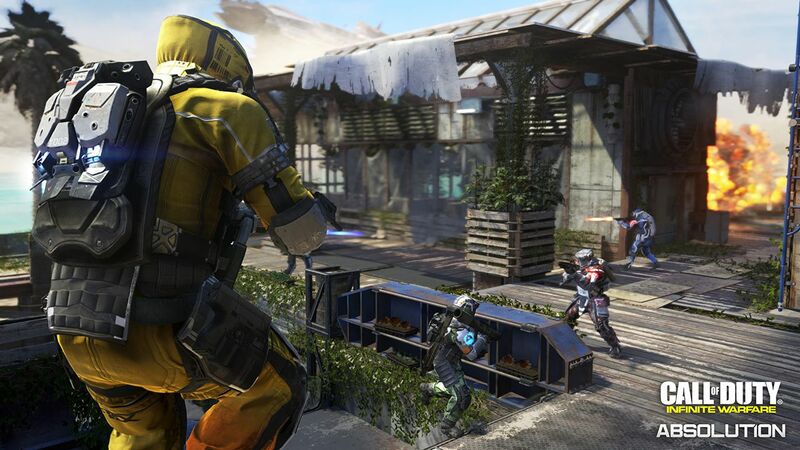 Call of Duty: Infinite Warfare‘s third map pack, Absolution, is due to arrive on PlayStation 4 later this week, Activision has confirmed. 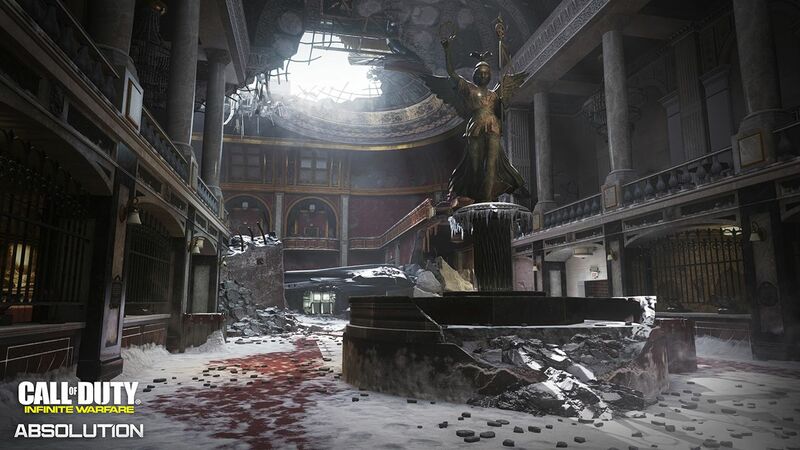 Come July 6, four brand new competitive multiplayer maps and a continuation of Infinite Warfare‘s zombie-slaying co-op campaign will be yours to devour for the same price as the previous map packs Sabotage and Continuum. As usual, Xbox One and PC players will need to wait until Sony’s timed exclusivity deal with Activision ends before they can get hold of Absolution, which usually lasts for around a month. Bermuda, Permafrost, Fore and Ember are the names of the new battlegrounds being introduced on the competitive side this time around, each of which offers a dramatically different aesthetic and layout to the next. 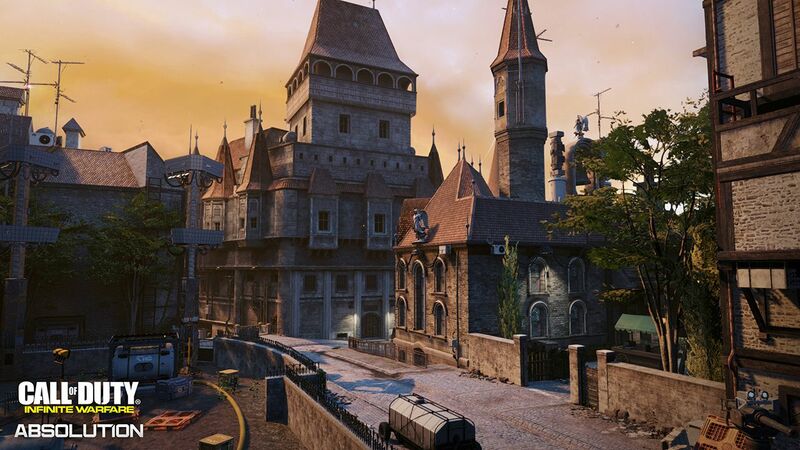 Bermuda, for example, takes place in a shantytown erected around the decrepit remnants of an old ship and is perfect for mid-range engagements. Permafrost, as you’d suspect, moves the action to a chillier climate, with its traditional three-lane map structure sure to be immediately familiar for most Shmup veterans, although you’ll want to stay on the move, as narrow adjoining city streets provide ample flanking opportunity for your enemies. 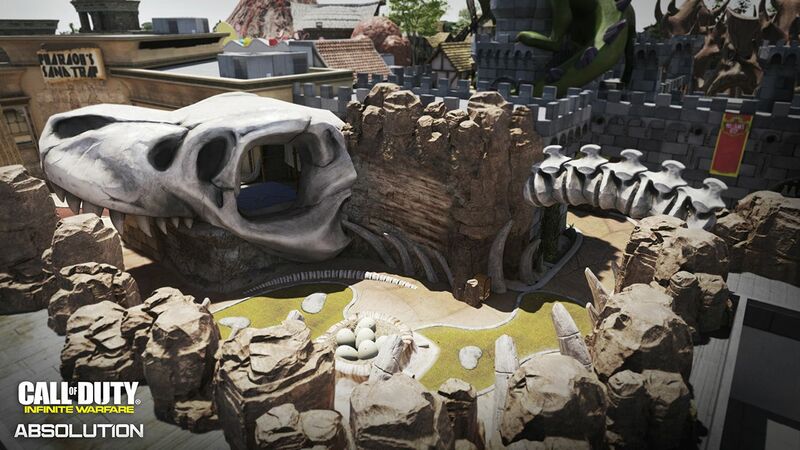 As for Fore and Ember, the former takes place on a miniature golf course, its main attraction a giant dinosaur skeleton, while Ember is a remake of fan favorite map Resistance from Call of Duty: Modern Warfare 3. 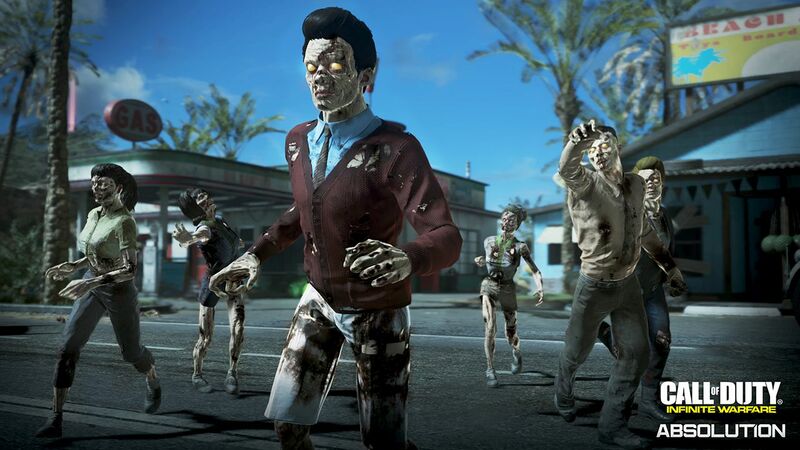 All that leaves is Absolution’s undead offering, Attack of the Radioactive Thing! Adopting a 1950s monster movie-inspired setting, the “action-packed” chapter marks the debut of four new roles for the mode’s hapless heroes, as well as a guest appearance from actor Cassandra Peterson, who returns to play horror movie icon, Elvira. Activision has yet to provide a trailer for Absolution, but you can likely expect to see one arrive over the next few days. Stay tuned for more.